So today starts a semi-regular post called "Around the Traps" whereby I round up some things that are inspiring me or resources I have found. I haven't had a place on the blog for it before and that needed to change. After months of not being able to sew I have ideas and ideas and ideas - and all of these links are fueling the fire. 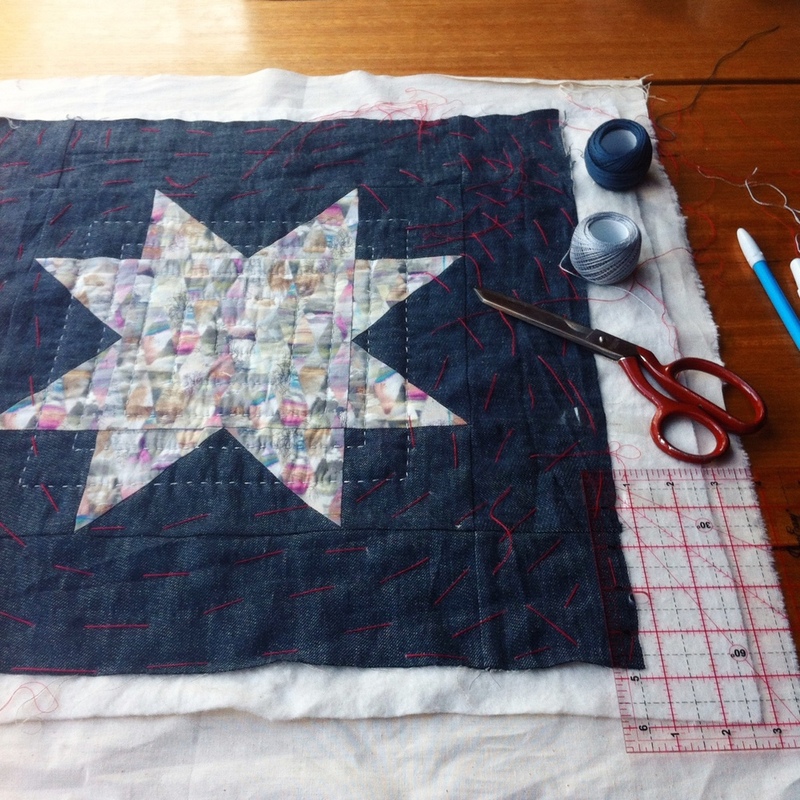 You have seen some of the quilters/patchworkers that I adore on this series of blog posts "I was totally wrong about patchwork!" but i also have come across a list of pile of new ones lately that I thought you needed to hear about. Season Evans - you would have seen this quilt on pinterest but have a look at the rest of her work. I love this one. Carolanne Graham - She teaches at The Workroom in Canada and I really wish it was a little bit closer! Have a look at this quilting and quilt. I really love it. Katherine May on the web and instagram. And my final new-to-me quilter is Lesley Gold. She is new to instagram but jeepers - have a look at this. She gets colour and I am sure there will be more gorgeous stuff to come. I featured Lindsay Stead in the original patchwork post but I wanted to show you an instagram photo of a cushion she made recently. I am totally in love with it, to the point I got home and before I had totally unpacked, I may have accidentally made the star at the top of the post. Obviously a totally different style to hers but she started the star obsession ;). *Australian slang for "around about" or something like it.